At the sound of the alarm, John slowly opened his eyes and registered bright morning light pouring in the bedroom window. He closed the blinds for Mary, allowing her to enjoy a few more minutes of sleep, and headed to the kitchen. The smell of frying bacon and fresh coffee finally roused Mary. She ambled into the kitchen to watch John preparing her breakfast with his usual care. John’s such a great guy, Mary thought. If only he were human. It’s exciting, “bleeding-edge” technology that has the potential to change the world. But before that potential can go to market, Brain2Bot’s proprietary machine-learning technology needs to be protected. Enter Craig Macy, of Fennemore Craig P.C., and an Adams Hub mentor. Macy specializes in helping startups like Brain2Bot patent their intellectual property (IP). Patents are a type of IP protection that enables inventors to prevent others from copying and profiting from their inventions. “My experience in both business and IP strategy development helps me to identify what risks have to be mitigated and the best, the most affordable and efficient manner to do so ,” Macy said. He recommends following a specific process before attempting to patent your technology. Make sure you’re able to show your idea or invention is genuinely new. Do thorough research to demonstrate that your idea is different in some important way from similar inventions. (Inventors often dismiss similar technologies that they believe are inferior.) That doesn’t mean that some aspect of your “better mousetrap” can’t be protected in some way, but if you’re in a competitive space, it can make it more difficult, time-consuming and expensive. Determine how much time and money you can spend. The next step is to consider your budget and the amount of time you’re able to devote to your project. Macy guides clients toward investing in legal protections that can mitigate the most significant risks. Still, he cautions that the process of patenting an invention is long and potentially expensive. You need to have a solid, long-term plan for how much money you’re going to spend. Protecting your IP is just one aspect of startup success, so its not the only demand placed on your limited resources..
Work with a mentor on your specific goal. Mentors help startups with establishing broad strategies and goals. Macy focuses on “cranking out the specifics” at the heart of a technical business opportunity. “Come to me with a vision and passion, and then we can go from there,” he advises. “I can give you a map that shows where the landmines are, but its still up to you to skip your way to success. Craig Macy has twenty years experience serving in a variety of technical, managerial, advisory and principal roles throughout the high technology sector. 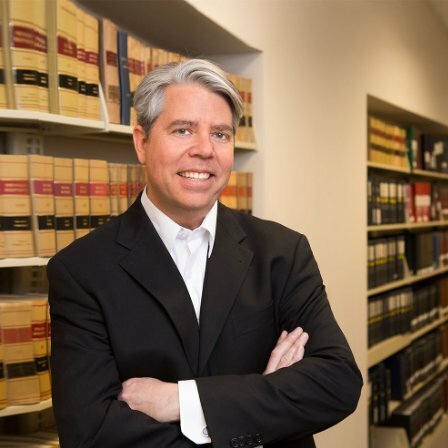 His law practice at Fennemore Craig is focused primarily on IP strategy, patent drafting and prosecution, technology transactions, drafting and negotiating patent, trademark, and copyright licenses, software licenses, and software development agreements, reseller and distributor agreements, and IP asset assignment and transfers. He also advises clients on data rights matters, as well as privacy and data security, contract risk assessments, and IP due diligence services. Contact him at craig.macy@gmail.com.